Highly Rated Profiles is an internet website property of Suham’T LLC, a Florida company since 2008. Please read carefully. The following Terms (“Terms”) govern between you (“you” or “your”) and Suham’T LLC in reference of Highly Rated Profiles (“Suham’T LLC”, “Highly Rated Profiles” “we” or “our”) in reference to this website, https://www.highlyratedprofiles.com, (“Site”) and the services and information offered on and/or by this website (“Service”). The right to use the Site and the Service is personal to you and is not transferable to any other person or entity. By accessing and/or using the Site and the Service (regardless of whether your access or use is intended) and/or by clicking the “Submit” button on any online form at the Site, you agree to be bound by these Terms, Highly Rated Profiles’ Privacy and guidelines. If you do not agree to abide by or be bound by these Terms, then do not access the Site or use the Service. Suham’T LLC in reference to Highly Rated Profiles and its services, reserves the right to modify the Terms, Service, Site and/or other policies at any time and from time to time, and such modifications shall be effective upon posting it on this page (https://www.highlyratedprofiles.com/terms.php). If any condition shall be deemed invalid, void or for any reason unenforceable, then that condition shall be deemed severable and shall not affect the validity of the remaining conditions. Your continued use of the Site and Service following any such modification constitutes your agreement to be bound by and your acceptance of the Terms as so modified. It is therefore important that you review the Terms regularly. The last date the Terms were revised is set forth above. If you do not agree to abide by these or any future Terms, you may not use or access the Site and/or the Service. All content under each listed company and /or professional such as, but not limited to, text, images, hyperlinks, graphics, media, videos or other material contained, accessed or entered on the Site (“Content”), is for informational purposes only, and should not be consider as an advice to hire the services of such listed companies and/or professionals. Any communication between you and a company and/or professional on the Site or through the Service is for general informational purposes only and does not create nor is it intended to create a company and/or professional-client relationship as defined by federal and state law. Your reliance on any information or Content provided on the Site and/or the Service, whether or not it is provided by a listed company and/or professional, is solely at your own risk. You should always seek the advice of other companies and/or professionals for any questions you may have about your needs. Listed companies and professionals must have consent from individuals and follow all legal requirements (as well as Highly Rated Profiles’ Terms and Privacy) before uploading, submitting or posting any photographs or videos of individuals on the Site and/or the Service. If a listed company or professional or other third-party has submitted, uploaded or posted a photograph or video of you on the Site and/or the Service and you want that photograph or video removed, please contact Highly Rated Profiles by email at info@highlyratedprofiles.com; or through Highly Rated Profiles’ help desk. (1) Have proper consent and owns the rights for online use. (2) Reflect the listed company’s and/or professional’s own work. (3) Have good resolution. Photos must be between 1 and 5 MB in size and in .png or .jpg format. Videos must be in HD resolution (1920 x 1080 pixels). Poor quality materials will be rejected. (4) Not contain graphics of minors (under age 18). (5) Be clean and do not contain promotional content, such as clients’ testimonials, special offers, self-promotion, website URLs, or conjecture regarding clients satisfaction. (6) Not contain information about the listed company and/or professional, borders, odd shapes, decorative backgrounds, digital enhancements, and/or watermarks. (7) Not contain background music for videos submitted. Highly Rated Profiles will add background music to videos, if necessary, and at its sole discretion. (8) Not be enhanced; including, but not limited to, digital improvements. Materials must be 100% real at all time. (a) Reject and/or remove, at any time, any material submitted and/or posted on the Site and the Service. (b) Conduct, without prior approval and/or supervision from listed companies and/or professionals, and at its sole discretion, any edits to submitted videos and photos to add valuable information for consumers and to follow Highly Rated Profiles guidelines; and publish the resulting work. (c) Modify Photos and Videos Guidelines at any time without notification. (1) All registration information, and communication you submit is truthful and accurate, and you will maintain the accuracy of such data. (2) You are a person of 18 years of age or older. (3) Your use of the Site and the Service does not violate any applicable law. (4) You do not engage in any illegal activities. (5) Your use of the Site does not violate any laws, regulations, codes of conduct and/or third party rights. (6) Access to the Site is for your exclusive use. Any access information such as login name and password shall not be shared or disclosed to others. (7) Information contained on the Site will not be re-sold in any form or manner without the expressed written consent of Suham’T LLC in reference of Highly Rated Profiles. (8) You will not use the Site and/or the Service to post any material that is knowingly false and/or defamatory, inaccurate, abusive, vulgar, obscene, profane, hateful, harassing, sexually oriented, threatening, invasive of one's privacy, or otherwise in violation of any law. (9) You will not restrict or inhibit any other user from using and enjoying the Site and the Service provided hereon (for example, by means of hacking or defacement). (10) You will not post any material on the Site unless you own the rights, certifications, consent or copyrights in and to such material. (11) You will not post or transmit any information or software that contains, but not limited to, a virus, worm, timebomb, cancelbot, trojan horse or other harmful, disruptive, or deleterious component. (l2) You will not post any material, including, but not limited to, videos and/or photos on the Site without having the appropriate consent from people appearing on such materials. (13) You will not post or transmit materials in violation of another party's copyright or other intellectual property rights. (14) You will not utilize any robot, spider, site search/retrieval application, or any other manual or automated technique to scrape, index, data mine, etc., or in any way reproduce or circumvent the navigational structure or presentation of the Site or the Content of such Site or Service. (15) You will not impersonate any other individual or entity in connection with your use of the Site. (16) You will not post advertisements, chain letters, pyramid schemes, solicitations, and the like on the Site. If you breach this Agreement and use the Site and/or the Service for advertising, promotion, or other commercial or non-personal uses (including any of the prohibited examples above), you acknowledge that you will have caused substantial harm to Suham’T LLC in reference of Highly Rated Profiles, but that the amount of such harm would be very difficult to determine. As a reasonable estimation of such harm, you agree to pay Suham’T LLC $100 (one hundred dollars) for each such prohibited action and/or content you execute, post or submit on or through the Site and/or the Service. Suham’T LLC in reference of Highly Rated Profiles reserves the right to remove (or not) any data, message, material, profile and/or communications from the Site and the Service for any (or no) reason whatsoever and at any time without any prior notice. You remain solely responsible for the content of your messages, materials posted and shared, data and/or communications when using the Site and the Service. You agree to indemnify and hold harmless Suham’T LLC in reference of Highly Rated Profiles, its affiliates, officers, members, and agents with respect to any claim based upon the transmission of your message(s), data, material(s), communication(s) and/or posting(s) when using the Site and the Service. By contacting, registering, or submitting any of your personal information through the Site and the Service, including, but not limited to, telephone numbers, emails, or addresses, you are consenting listed companies and/or professionals, Suham’T LLC in reference of Highly Rated Profiles, and all authorized representatives to contact you by any media including but not limited to phone texts, and/or to include your email address in newsletters for listed companies and/or professionals and/or Highly Rated Profiles. By posting messages, uploading files, inputting data, or engaging in any other form of communication through the Site, you are granting Suham’T LLC in reference of Highly Rated Profiles a royalty-free, perpetual, non-exclusive, unrestricted, worldwide license to: (1) use, copy, sublicense, adapt, transmit, publicly perform, or display any such communication; and (2) sublicense to third parties the unrestricted right to exercise any of the foregoing rights granted with respect to the communication. The foregoing grants shall include the right to exploit any proprietary rights in such communication, including, but not limited to, rights under copyright, trademark, service mark, or patent laws under any relevant jurisdiction. All materials on the Site and/or the Service, including, but not limited to, text, data, graphics, logos, button icons, images, audio clips, video clips, links, digital downloads, data compilations, and software are owned, controlled by, or licensed to Suham’T LLC in reference of Highly Rated Profiles and are protected by copyright, trademark, and other intellectual property rights. Materials on the Site and/or the Service are made available solely for your personal, non-commercial use. Suham'T LLC in reference of Highly Rated Profiles does not provide any copyright or grant any exclusivity right of use on any of the content used in the Site and/or the Service. If you believe that your work has been used in a way that constitutes copyright infringement, or your intellectual property rights have been otherwise violated, please notify Suham’T LLC in reference of Highly Rated Profiles by email at: info@highlyratedprofiles.com or by mail at: Suham’T LLC, Ref. Highly Rated Profiles, P.O. Box 245153, Pembroke Pines, FL 33024. Upon receipt of notice, Suham’T LLC in reference of Highly Rated Profiles will take whatever action, in its sole discretion, it deems appropriate, including removal of the alleged infringing material from the Site and the Service. We may provide hyperlinks to third-party websites as a convenience to users of this Site and/or Service. We do not control third-party websites and are not responsible for the contents of any linked-to, third-party websites or any hyperlink in a linked-to website. We do not endorse, recommend or approve any third-party websites hyperlinked from this Site and/or Service. We will have no liability to any entity for the content or use of the content available through such hyperlinks. Your dealings with or participation in promotions of listed companies and/or professionals and/or third parties found on the Site and/or Service, including payment and delivery of goods or services and any other terms (such as warranties) are solely between you and the listed companies and/or professionals and/or third parties. You agree that Suham’T LLC in reference of Highly Rated Profiles shall not be responsible for any loss or damage of any kind relating to your dealings with listed companies and/or professionals and/or third parties found in the Site and/or the Service. At the Member Registration Form, you will have the option to request a Digital Marketing Program for your profile. It will involve pay-per-click and/or promotional ads at third parties platforms including but not limited to Facebook, Instagram and/or Google. Such ads will be optimized using keyword research related to your specials and/or profile content. In order to effectively manage such advertisement, you agree that all ads will be performed using Highly Rated Profiles' accounts on such third parties platforms. By authorizing Suham'T LLC in reference of Highly Rated Profiles to run such advertisement, you fully agree and understand that such advertisement will abide to the terms and conditions as described on those third parties platforms. The fee for each Digital Marketing Program as described in the Member Registration Form includes our digital marketing management service, keyword research, and all ads fees payable to such third parties platforms. All payments for this Digital Marketing Program are paid in advance. It is of our best interest to promote your profile and to create a successful Digital Marketing Program. However, Suham'T LLC in reference of Highly Rated Profiles makes no warranty implied or stated of any kind in regards of the performance of the Digital Marketing Program for your profile. At the Member Registration Form, we provide an estimate of the possible visits to your profile that will be achieved depending on the program selected and based on our prior advertising experience. Those estimates are only for informational purpose and cannot be guaranteed. The information and materials on the Site and/or the Service could include technical inaccuracies or typographical errors. Changes are periodically made to the information contained herein. Suham’T LLC in reference of Highly Rated Profiles and its Parties disclaim all warranties, guarantees or conditions. WITHOUT LIMITING THE FOREGOING, TO THE EXTENT PERMITTED BY LAW, WE MAKE NO REPRESENTATIONS OR WARRANTIES OF ANY KIND WITH RESPECT TO THE CONTENT, THE SITE AND/OR THE SERVICE, ALL OF WHICH IS PROVIDED ON A STRICTLY "AS IS" BASIS, “WITH FAULTS” AND “AS AVAILABLE.” WE HEREBY EXPRESSLY EXCLUDE AND DISCLAIM ALL IMPLIED WARRANTIES, INCLUDING THOSE OF MERCHANTABILITY, FITNESS FOR A PARTICULAR PURPOSE, WORKMANLIKE EFFORT AND NON-INFRINGEMENT. UNDER NO CIRCUMSTANCES SUHAM’T LLC IN REFERENCE OF HIGHLY RATED PROFILES, BE LIABLE UNDER ANY THEORY OF RECOVERY, AT LAW OR IN EQUITY, FOR ANY DAMAGES, INCLUDING WITHOUT LIMITATION, SPECIAL, DIRECT, INCIDENTAL, CONSEQUENTIAL OR PUNITIVE DAMAGES (INCLUDING, BUT NOT LIMITED TO, LOSS OF USE OR LOST PROFITS), ARISING OUT OF OR IN ANY MANNER CONNECTED WITH THE USE OF THE CONTENT, THE SITE AND/OR THE SERVICE, OR THE FAILURE TO PROVIDE INFORMATION OR SERVICES, FROM THE SITE. DESPITE THE FACT THAT SUHAM’T LLC IN REFERENCE OF HIGHLY RATED PROFILES REVIEWS, RATES, APPROVES AND REEVALUATES A COMPANY AND/OR A PROFESSIONAL IN ORDER TO BE OR KEPT LISTED AS A HIGHLY RATED POFILE FOR CONSUMERS BASED ON GOOD STANDING STATUS AND ITS COMPLIANCE WITH HIGHLY RATED PROFILES’ STANDARDS, SUHAM’T LLC IN REFERENCE OF HIGHLY RATED PROFLES AND ITS PARTIES MAKE NO REPRESENTATIONS OR WARRANTIES OF ANY KIND WITH RESPECT TO SUCH REVIEWS, RATINGS, APPROVALS, EVALUATION PROCESS; THE ACCURACY, VALIDITY, COMPLETENESS AND/OR USEFULNESS OF ANY EVALUATION, REPORT, AND/OR CONTENT; AND/OR THE CONTINUITY OF A LISTED COMPANY AND/OR PROFESSIONAL TO BE IN GOOD STANDING AND IN COMPLIANCE WITH HIGHLY RATED PROFILES’ STANDARDS. IN ADDITION, IN NO EVENT SHALL SUHAM’T LLC IN REFERENCE OF HIGHLY RATED PROFILES BE LIABLE TO YOU OR TO ANYONE FOR ANY DECISION MADE OR ACTION TAKEN BY A PARTY (INCLUDING, WITHOUT LIMITATION, BY ANY USER) IN RELIANCE ON ANY CONTENT OR OTHER INFORMATION ABOUT LISTED COMPANIES AND/OR PROFESSIONALS POSTED ON THE SITE OR AVAILABLE THROUGH THE SERVICE. We do not warrant that the Site, the functions contained in the Site, the Service, and/or any third party sites will be uninterrupted or error-free, that defects will be corrected, or that the Site, the Service, or any third party sites, or the servers that make them available, are or will be free of viruses or harmful components. We make no representations or warranties regarding (a) how often the Content on the Site and/or the Service will be updated, or (b) the validity, completeness, accuracy, or usefulness of the Content. Furthermore, you specifically acknowledge and agree that no oral or written information or advice provided by Suham'T LLC in reference of Highly Rated Profiles, its officers, directors, employees, or agents (including without limitation Suham’T LLC in reference of Highly Rated Profiles call center, help desk, or customer service representatives) will (a) constitute legal, professional, service or financial advice or (b) create a warranty of any kind with respect to the Site, the Service found at the Site, or the Content at the Site. You or any visitor and/or user should not rely on any information or advice presented at https://www.highlyratedprofiles.com. The Content does not represent the views of Suham’T LLC in reference of Highly Rated Profiles or any person or property associated with Suham’T LLC in reference of Highly Rated Profiles. If you feel that any Content in the Site and/or the Service is objectionable, we encourage you to contact our help desk. We will make every effort to remove objectionable content if we deem removal to be warranted. Removals might not occur immediately. You agree to indemnify and hold harmless Suham’T LLC in reference of Highly Rated Profiles and its affiliates, officers, members, and agents in the event that your use of the Site, the Content, and/or the Service (a) constitutes a violation of any applicable law or regulation (including, without limitation, copyright and intellectual property laws); (b) is defamatory, fraudulent or deceptive; (c) is intended to threaten, harass or intimidate any person, or (d) constitutes a violation of the Terms. You agree to indemnify and hold harmless Suham’T LLC in reference of Highly Rated Profiles and its affiliates, officers, members, and agents from and against any loss, liability, claim, demand, damages, costs and expenses, including reasonable attorney's fees, arising out of or in connection with any content you post or submit to or through the Service and/or the Site, your use of the Service, your use of the Site, your conduct in connection with the Service and/or the Site or with other users of the Service and/or the Site, and any violation of this contract or of any law or the rights of any third party. Suham’T LLC in reference of Highly Rated Profiles grants you a limited, personal, revocable, non assignable, and nonexclusive license to use the Site and the Service. Suham’T LLC in reference of Highly Rated Profiles owns the text, photographs, videos, visual interfaces, interactive features, graphics, design, compilation, computer code, products, software and all other elements and components of the Site and the Service (“Highly Rated Profiles’ Content”), excluding your content. Suham’T LLC in reference of Highly Rated Profiles owns the copyrights, trademarks, service marks, trade names and other intellectual property and proprietary rights throughout the world associated with the Highly Rated Profiles’ Content and the Service which are protected by copyright, trade dress, patent, trademark laws and all other applicable intellectual and proprietary rights and laws. You may not modify, reproduce, republish, frame, download, transmit, distribute, rent, lease, loan, sell, assign, license, sublicense, reverse engineer, publicly display or create derivative works based on the Service, any of Highly Rated Profiles’ Content in whole or in part, or Highly Rated Profiles’ website except as expressly authorized in writing by Suham’T LLC in reference of Highly Rated Profiles. In addition, Suham’T LLC in reference of Highly Rated Profiles does not grant any express or implied rights; and all rights in and to Highly Rated Profiles’ website, the Service and Highly Rated Profiles’ Content are retained by Suham’T LLC in reference of Highly Rated Profiles. By submitting any content, including, but not limited to, logos, names, pictures, information, videos and trademarks to or through Highly Rated Profiles, you hereby grant to Suham'T LLC in reference of Highly Rated Profiles, its affiliates, officers, members, and agents license to use, modify, delete from, add to, publicly perform, publicly display, reproduce, and distribute such content, including without limitation, distributing part or all of your content in our Site, our Service, our marketing material, and in any media formats and through any media channels and into perpetuity. TO THE EXTENT PERMITTED BY LAW, IN NO EVENT WILL SUHAM’T LLC IN REFERENCE OF HIGHLY RATED PROFILES AND ITS PARTIES BE LIABLE TO YOU OR TO ANY THIRD PARTY FOR ANY INDIRECT, CONSEQUENTIAL, SPECIAL, INCIDENTAL, EXEMPLARY, OR PUNITIVE DAMAGES EVEN IF ANY OF SUHAM’T LLC IN REFERENCE OF HIGHLY RATED PROFILES AND/OR ITS PARTIES HAVE BEEN ADVISED OF THE POSSIBILITY OF SUCH DAMAGES. Suham’T LLC in reference of Highly Rated Profiles, due to the lack of control over the policies and ranking algorithms of search engines with respect to the type of sites and/or content they accept and/or rank now or in the future, offers no guarantees of the traffic that may be generated to each profile listed at the Site; and no guarantees of the positioning of such profiles on search engines’ results, including, but not limited to, first page ranking. The ranking for each profile listed at https://www.highlyratedprofiles.com will be at the sole discretion of each search engine and/or directory. In addition, you, as a listed company and/or professional using the Site and the Service, fully agree and understand that Suham’T LLC in reference of Highly Rated Profiles does not make any warranty of any kind, including, without limitation, monetary savings, increase of business, increase of website’s traffic, increase of exposure, and/or market presence. Companies and professionals must follow all Highly Rated Profiles’ guidelines in order for their profiles to be reviewed, rated, approved and listed at https://www.highlyratedprofiles.com. Suham’T LLC in reference of Highly Rated Profiles will issue each company and/or professional a list of steps to follow for evaluation and approval process, and all required content that must be provided by a company and/or professional prior for it to be listed at the Site and the Service. 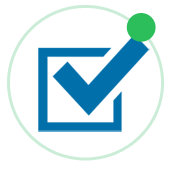 Learn more about the approval process for companies and/or professionals. As a company and/or professional, by been approved and listed at https://www.highlyratedprofiles.com, you understand and agree at all time that you will incur on an initial and recurring package fee (“Profile’s Dues”). Profile's Dues value($) will be listed either on your Member Registration Form or on your invoice or on both; and, it may vary at any time with prior notice. Profile’s Dues will start to apply the first day that your profile is published at https://www.highlyratedprofiles.com. Suham’T LLC in reference of Highly Rated Profiles may perform reevaluation of any profile at any time and at it's own discretion to ensure companies and/or professionals continue to be in good standings and in compliance with Highly Rated Profiles’ standards. For recurring Profile’s dues, listed companies and/or professionals must complete payment between 10 (ten) to 15 (fifteen) days prior to the expiration date of the current term. Failure to pay recurring Profile’s dues on time, listed companies and/or professionals put in risk their active status, which may result in profiles’ being unlisted and/or cancelation of services. Profile’s Dues must be paid in full and in advance by check or credit/debit card. Payments by credit/debit cards incur a 3% merchant’s processing fee per transaction. All online credit/debit card payments are done under PayPal secured platform. A PayPal payment link is sent to each listed company and/or professional’s email address, where any credit or debit card can be used to process payments without the need of having a PayPal account. Suham’T LLC in reference of Highly Rated Profiles neither collects, sees, nor stores credit/debit cards information from listed companies and/or professionals. When paying by check, you, as a listed company and/or professional, understand that a thirty five dollars ($35.00) fee will be applied for every returned check paid to Suham'T LLC in reference of Highly Rated Profiles. In the event you need a copy of the returned check, a fee of fifteen dollars ($15) will be applied. Fees are set by the Bank and are not fixed and may vary. Suham’T LLC in reference of Highly Rated Profiles reserves the full right to hide any listed company and/or professional, profile, at https://www.highlyratedprofiles.com and/or to cancel the Service to any listed company and/or professional at any time, without cause and/or without notice at its sole discretion. You, as a listed company and/or professional using the Service, may cancel the Service at any time, with or without cause, upon notice to us via email at: info@highlyratedprofiles.com, or by using the online direct contact form located at our help desk page. Upon Service cancellation, your listed profile will be removed from the Site and your right to use the Service stops right away. Once the Service is cancelled or suspended, any data you have stored on the Service and/or the Site may not be retrieved later. In addition, if you stop the Service, terminate your Service account, or your Service is canceled by Highly Rated Profiles, your Content and your submissions will not be completely eliminated from the internet; your content may continue to show on search engines and/or online results for an unspecific amount of time. Suham’T LLC in reference of Highly Rated Profiles cannot guarantee complete removal of your content and submissions to Highly Rated Profiles from results on the World Wide Web, since these results are controlled and managed by third party companies. Suham’T LLC in reference of Highly Rated Profiles has a non-refund policy. You, as a listed company and/or professional, agree and fully understand that at all time any and all payments made to Suham’T LLC in reference of Highly Rated Profiles are non-refundable, including, without limitation, advanced payments. In the event and only if Suham'T LLC in reference of Highly Rated Profiles fails a Company and/or Professional while performing the approval process for the new profile including but not limited to site evaluation and background check, the initial term payment performed by Company and/or Professional will be refunded minus a non-refundable evaluation and/or processing fee which the dollar amount will be detailed in the member registration document and/or at the invoice additional notes and/or terms. Company and/or Professional is not entitle to any refund in any other circumstances. We may change and/or update the Content, the Site, and/or the Service and/or delete features at any time and for any reason. We are not obligated to provide maintenance, technical support or updates to you for the Service, the Content and/or the Site, but we may provide these in our discretion. We may cancel or suspend the Content, the Site and/or the Service at any time. Our cancellation or suspension may be without cause and/or without notice. The Site, the Content and the Service is controlled and operated by Suham’T LLC in reference of Highly Rated Profiles from the United States of America, and Suham’T LLC in reference of Highly Rated Profiles makes no representation that the Site, the Content and/or the Service are appropriate, available or may be downloaded for use outside the United States of America. In addition, you are responsible for complying with all of your local laws. These Terms, the Site, the Content, and/or the Service are governed by United States federal law and the laws of the State of Florida, excluding any conflicts of law provisions. Accessing, browsing and/or otherwise using the Site, the Content and/or the Service mean you hereby consent to the exclusive jurisdiction of the state and federal courts in Miami-Dade County, Florida and you waive all defenses of lack of personal jurisdiction and forum non conveniences with respect to venue and jurisdiction in the state and federal courts of Miami-Dade County, Florida. In the event of a dispute arising under or relating in any way to this Agreement and/or to Suham’T LLC in reference of Highly Rated Profiles provided under this Agreement, you, the listed company and/or professional and/or online user and/or consumer, and we, Suham’T LLC in reference of Highly Rated Profiles, agree to resolve this dispute by looking to the Terms of this Agreement. If there is a conflict between what Suham’T LLC in reference of Highly Rated Profiles, its affiliates, officers, members, agents and/or employers say and the Terms of this Agreement, the Terms of this Agreement shall control. Electronically, via email at: info@highlyratedprofiles.com or by using our direct online contact form at our help desk. These Terms constitute the entire Agreement between you and Suham’T LLC in reference of Highly Rated Profiles regarding the use of the Service and/or the Site, and supersedes any prior agreements between you and Suham’T LLC in reference of Highly Rated Profiles relating to your use of the Service and/or the Site. The failure of Suham’T LLC in reference of Highly Rated Profiles to exercise or enforce any right or provision of these Terms or any prior version of these Terms shall not constitute a waiver of such right or provision in that or any other instance. If any provision of these Terms is held invalid, the remainder of these Terms shall continue in full force and effect. If any provision of these Terms shall be deemed unlawful, void or for any reason unenforceable, then that provision shall be deemed severable from these Terms and shall not affect the validity and enforceability of any remaining provisions. Nothing in this Agreement shall be deemed to create a partnership or joint venture between you and Suham’T LLC in reference of Highly Rated Profiles. The headings of the paragraphs of this Agreement are for convenience only and shall not be deemed to limit or in any way affect the scope, meaning or intent of this Agreement.